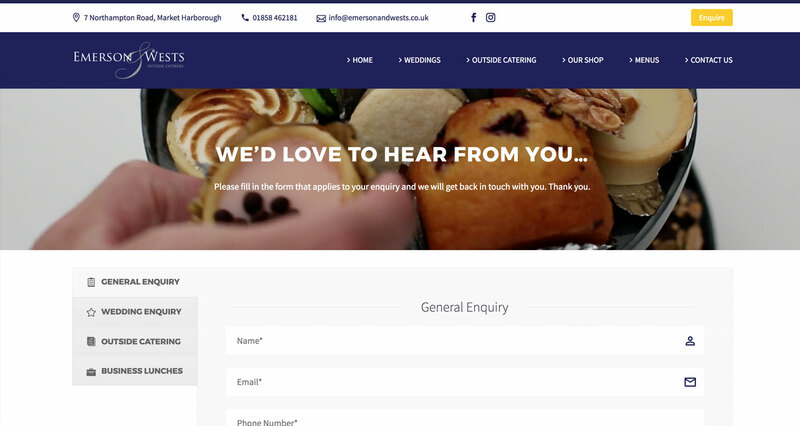 Based in Market Harborough and established in 1886, Emerson & Wests run a charming delicatessen, bakery and restaurant and an outside catering company that serves the surrounding counties. 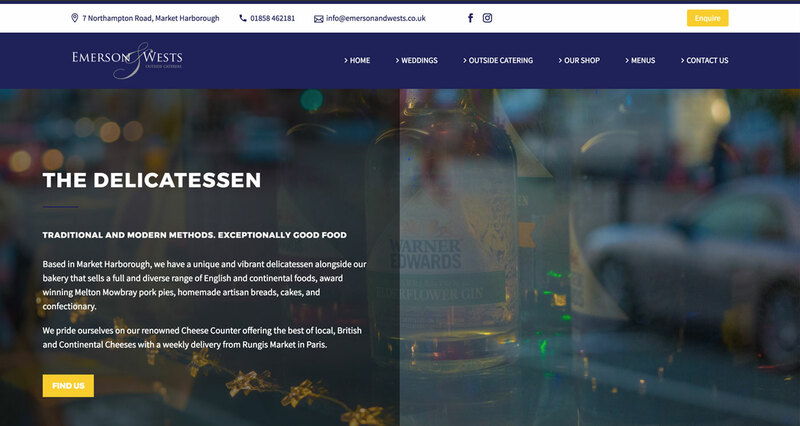 Emerson & Wests wanted a fresh, clean and ascetically pleasing, responsive website complimented with new photography that portrays what they do best. 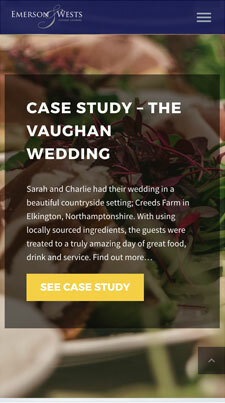 To portray E&W’s level of high-quality wedding catering, the website needed to be designed with elegance and user functionality at the forefront of each consideration. 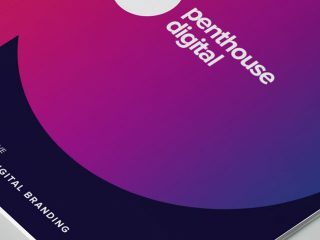 Our process for this project always started with ‘how do we achieve the business goals?’ which was to increase enquiries. 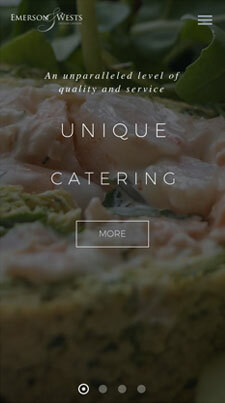 Designing a modern website for a traditional catering company was an exciting challenge to take on. 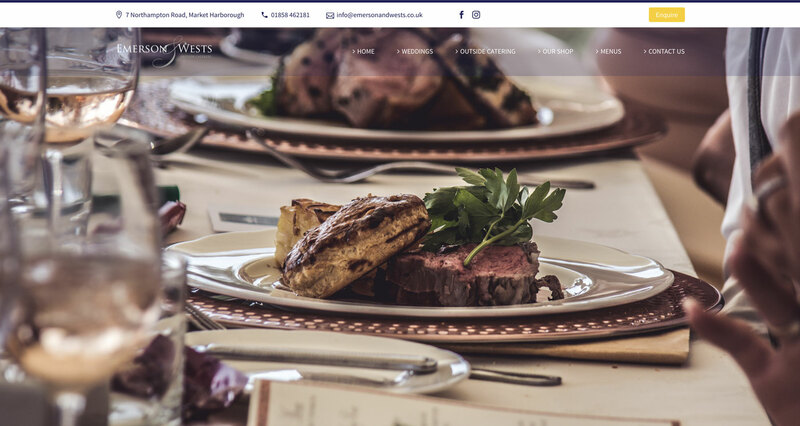 Using full-width images and clean and consistent elements throughout the site, allows the visitor to easily visualise all aspects Emerson & Wests’ catering services. 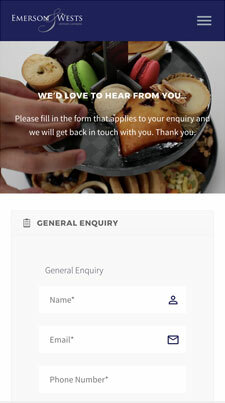 The accessibility of the contact page has seen the business record a large increase in the number of outside catering enquiries. 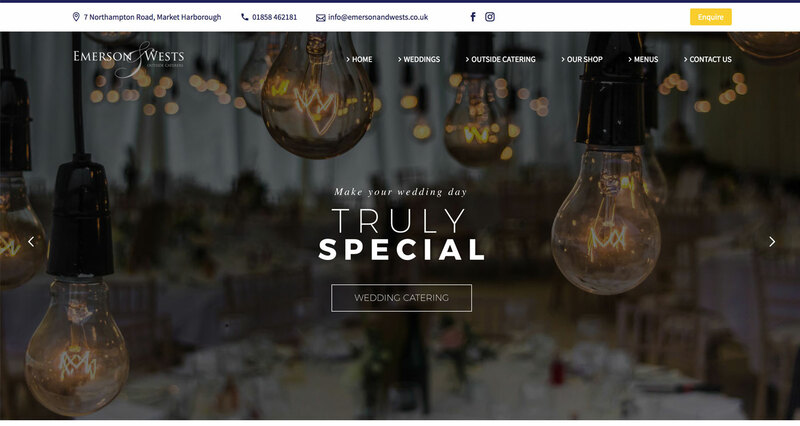 As any catering business would agree, images are hugely important in effectively displaying the quality of their service. 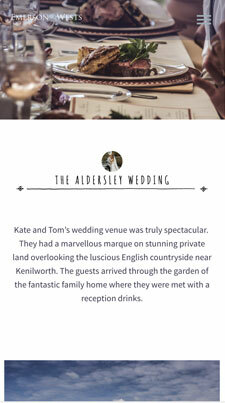 I join the team at Emerson & Wests when they cater for different types of events to keep their content up-to-date. As a local business, using email marketing as a form of advertising was a no-brainer. 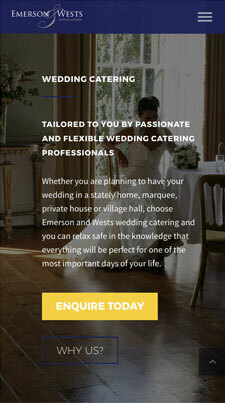 Email marketing is one of the most cost-effective ways of getting for Emerson & Wests to get in front of other local businesses in promoting their corporate lunch services. The response was from this email campaign was a great success. Business lunch enquiries started to come through online which then produced a steady income of enquiries of this nature.